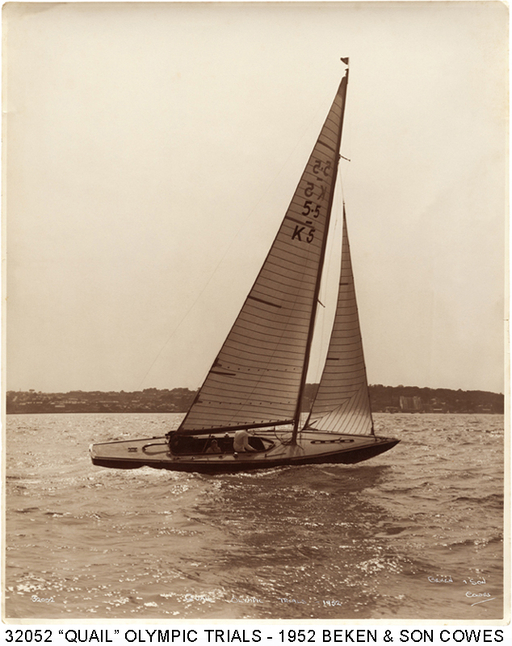 Beken photograph from the Solent "Quail Olympic Trials 1952" tells that it was already 1952 K-5. The Lloyd's Register list is stating 5.5 K-5 "Quail" as Laurin/Tricksons/1951, but although built in 1951, she only appears as K-5 in the Lloyd's list of 1954. "In my research S-8 appears in the KSSS lists of registered boats in 1951, 1952 and 1953. So probably the boat was sold abroad after that." Hence the assumption that K-5 has been originally S-8.